Parliament is deeply divided, with factions pressing for different options for future ties, exiting without a deal or remaining in the EU. PM Theresa May said on Monday she would bring her Brexit deal back to parliament for a vote in January. 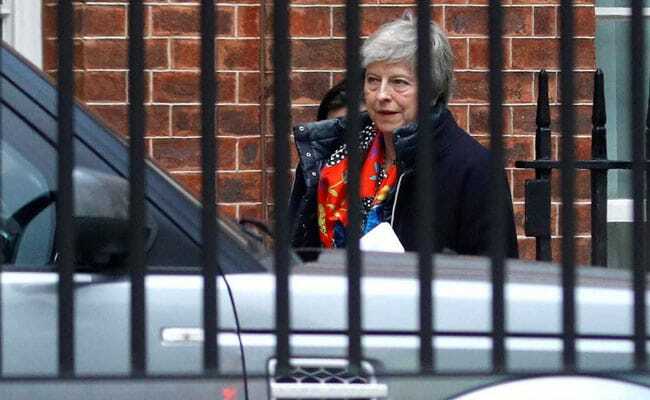 Prime Minister Theresa May said on Monday she would bring her Brexit deal back to parliament for a vote in mid-January, pledging to get assurances from the European Union to break the deadlock over Britain's departure from the bloc. After a last-minute threat from the main opposition Labour Party to call for a symbolic no confidence vote in the prime minister if no date was given, May said parliament would debate the deal in January, before a vote in the week beginning Jan. 14. May is pressing on with her deal to leave the EU, rejecting calls for a second referendum or to test support for different Brexit options in parliament despite hardening opposition to the agreement to maintain close ties. After a tumultuous week in which she survived a confidence vote and sought last-minute changes to a Brexit agreement reached with Brussels last month, May said again that the choice was her deal, leaving without an agreement or no Brexit at all. "I know this is not everyone's perfect deal. It is a compromise. But if we let the perfect be the enemy of the good then we risk leaving the EU with no deal," she told lawmakers, her speech punctuated by loud shouts of protest. "Avoiding no deal is only possible if we can reach an agreement or if we abandon Brexit entirely." She said the EU had offered "further clarification" on the most contentious aspects of her divorce deal, or withdrawal agreement, and that her government was exploring "further political and legal assurances". But with the EU offering little in the way of concessions to win over lawmakers, an increasing number of politicians are calling for a second referendum - something some of her ministers say could be avoided if the government tested Brexit scenarios in parliamentary votes. That increases the risk of Britain leaving without a deal on March 29, a scenario some businesses fear would be catastrophic for the world's fifth largest economy. Several members of May's cabinet team, including Education Minister Damian Hinds, said at the weekend they were open to putting the range of options to parliament to gauge whether there was a majority for any of them. May's spokesman said: "In relation to an indicative vote, there are no plans to hold one." The prime minister used her statement in parliament on Monday to reject the idea of a second referendum and to again set out that her agreement to keep close economic ties with the EU after Brexit is the only one on offer. "Let us not break faith with the British people by trying to stage another referendum," May said. "Another vote which would do irreparable damage to the integrity of our politics, because it would say to millions who trusted in democracy, that our democracy does not deliver. Another vote which would likely leave us no further forward than the last."